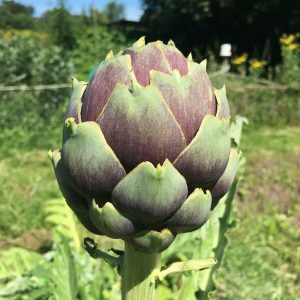 A well-known Liver Remedy which will help to detoxify and regenerate a damaged liver, Globe Artichoke will also protect it from further damage. In addition it helps stimulate the flow of bile without impairing liver function. The flow of bile also has a stimulating effect and will reduce blood levels of cholesterol, reduce gallstones and prevent further recurrence as well as relieve dyspepsia, IBS, rheumatism and gout. Active Constituents: Sesquiterpene lactones (mainly cynaropicrin), phenolic acids (including cynarin), flavonoids, coumarins, alkaloids, pseudotannins, polyacetylenes and an enzyme (cyanarase). Safe at Therapeutic Doses but should be avoided by patients who have bile duct obstruction and anyone sensitive to members of the Asteraceae family of plants.